Keeping your vehicle in good condition ensures your safety on the road. However, all the misinformation about auto maintenance makes it difficult to know what you should be doing. To help you separate fact from fiction, here are four myths about auto maintenance. It’s illegal for dealers to deny warranty coverage if you get routine maintenance done by outside mechanics, according to the Federal Trade Commission . “Routine maintenance often includes oil changes, tire rotations, belt replacement, fluid checks and flushes, new brake pads and inspections,” the FTC says. You can also use aftermarket parts without voiding your warranty, as long as they are not defective nor improperly installed in a way that damages a warrantied part of your vehicle. So relax knowing you can go to a mechanic you trust for maintenance needs. Although this may be true in older vehicles, most cars can go longer without an oil change. Your owner’s manual has specific requirements, with ranges from 5,000-15,000 miles, depending on your vehicle. Synthetic oil may allow you to drive even farther between oil changes, but that is not guaranteed (although it will benefit your engine, regardless). Again, your owner’s manual will detail your car’s needs. Transmission fluid lubricates your car’s transmission parts. It needs to be checked to ensure it’s not dirty, otherwise it should be changed every 30,000-60,000 miles in a manual transmission, and every 60,000-100,000 miles in an automatic. Coolant is a mixture of antifreeze and water that protects your radiators from extreme hot and cold. As long as it isn’t dirty or leaking, it should be changed every 30,000 miles (or every few years) to fight the corrosion antifreeze prevents. Power steering fluid keeps your power steering system going and makes it easy to turn your steering wheel. You may not need to replace it, but don’t delay if it needs to be replenished, as it prevents major problems. Brake fluid helps the components of your braking system work smoothly. Over time it degrades and needs to be drained and replaced, so have it checked every year or so. Windshield washer fluid is essential, as anyone who has driven with a dirty windshield knows. It’s inexpensive and easy to replace yourself or when you are having your car serviced. Front tires do more work than the back, so they wear out quickly. Rotating your tires spreads the load. Although front-wheel and all-wheel drive vehicles — most of the vehicles on the road — give significantly more work to front tires, even rear-wheel and four-wheel drive vehicles put more pressure on the front. 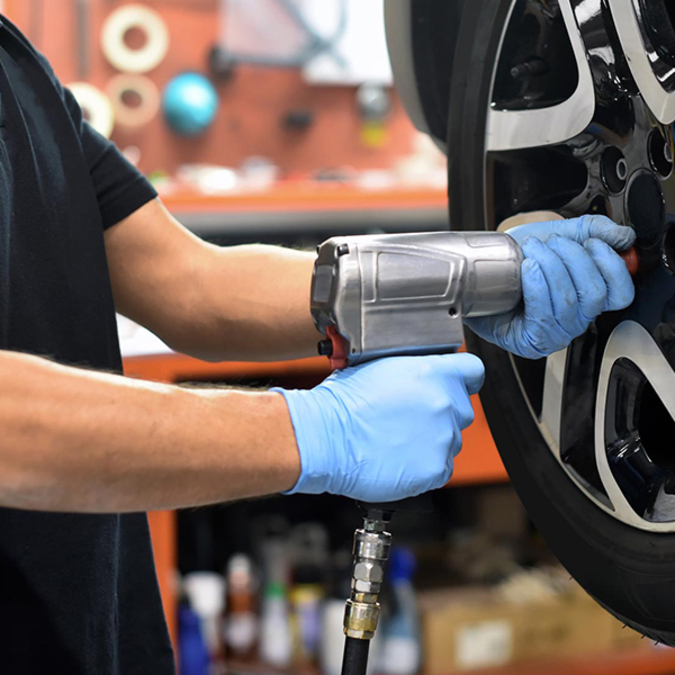 A good tire technician or automotive service mechanic, such as the experts at Jensen Tire & Auto , can answer any questions you have about what your car needs. Their professionally trained associates and certified technicians offer the best tires, superior auto repair, and competitive prices at 21 convenient locations.